You will see a couple of references in this post that say I will be late with this post, but ignore those. I got it out on time. Once I got started putting pictures in, I just didn’t stop until I finished. Be sure to click on all the websites to see more, but especially the ‘batch2006’ sites that have plenty of pictures. 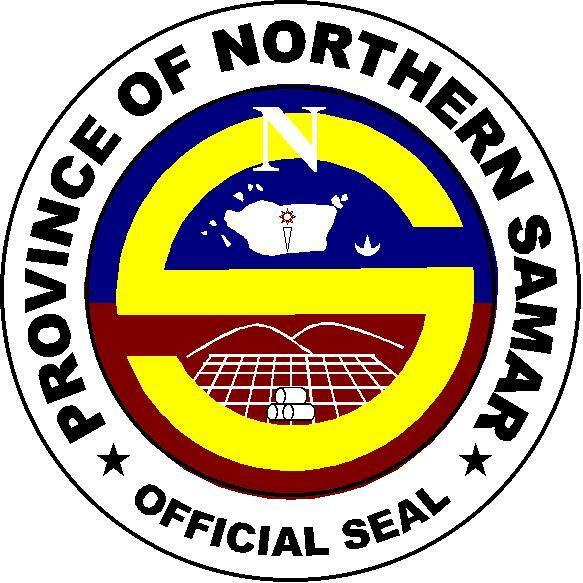 Northern Samar (Filipino:Hilagang Samar) is a province of the Philippines located in the Eastern Visayas region. 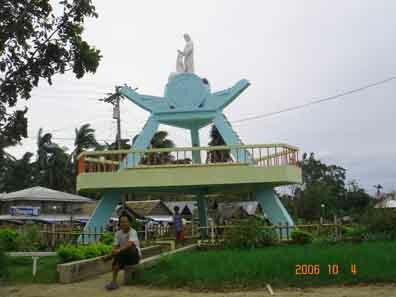 Its capital isCatarman and is located at the northern portion of the island of Samar. 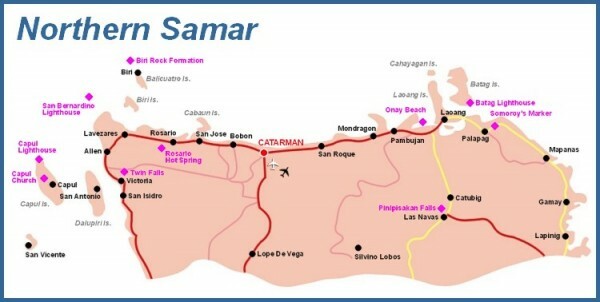 Bordering the province to the south are the provinces of Samarand Eastern Samar. To the northwest, across the San Bernardino Strait is Sorsogon; to the east is the Philippine Sea and to the west is Samar Sea. 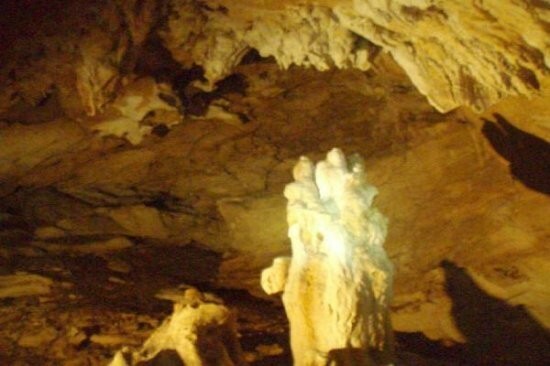 Northern Samar has a lot of tourism potentials that are still undiscovered and unknown by many tourists. 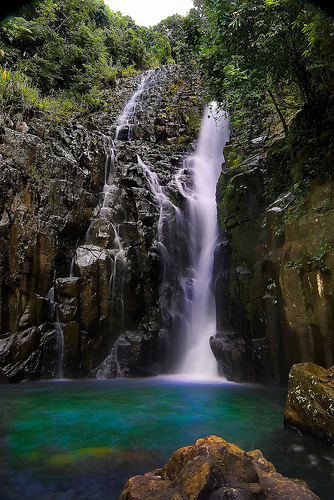 You can find famous old churches, beautiful falls, rivers, caves, virgin forests, beaches, and other secret places. 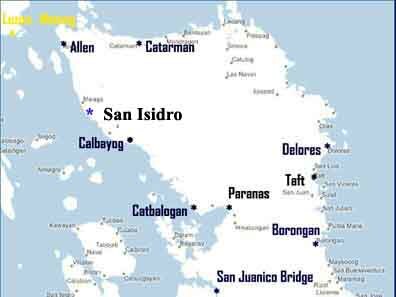 Three of these “secret” places are the island Municipalities of Biri, Capul and Dalupirit (San Antonio), all off the coast of Northern Samar. Remote and desolate, and definitely off the normal tourist track, forgotten Northern Samar evokes powerful images. Well this post was probably late. I’m talking next day late too. The Internet has been acting up again. It was down for approximately 5 1/2 hours. I first noticed it was down at 4:40pm and I finally got it back online at 10:15pm. I guess I could have finished it before I actually went to bed, but if I don’t get started at least before 10:00pm, I usually don’t bother finishing it all in one night. I am usually pretty dejected by then because if I didn’t start, then there was something wrong with the Internet or the computer. It’s not one of those things that you get use to, at least it’s not for me. It just makes me more frustrated with the service they have here. Let me back track to the beginning of the day so you will see what happen during my yet again boring day. I woke up this morning to a blackout. It was 0615. I just went back to sleep. At 0816 I got up, but we were still without power. Finally at 0913 the lights came back on. Of course somewhere around noon thirty, the electric went off again. This time it only lasted approximately 30 minutes because at 1:01pm I noticed that the lights were back on. Lita was not around when the lights went out the second time. She left to go downtown to buy some bananas about 1130. They needed those for the afternoon banana balls and banana-ques. When she got back though she got a chance to experience it with the rest of us, but only about 15 minutes worth for her this time. We have had mostly light drizzle and we have heard thunder for most of the day. It never did actually rain that hard, not like the last few days when at least once we had some heavy stuff, if only for a few minutes. Vicky finally returned the movies she borrowed. Well I haven’t looked inside the cases yet, but I suppose they are there. I’ll be sure to do that. She also returned some books that she borrowed from Lita. Some of those Filipino romance books that they call pocketbooks, or, as they call them in the US, dime novels. Just to be sure that y’all get a chance to see this, if you are not checking the comments. This is good for us. If someone can copy/paste it and send it to me, I’ll post it permanent on here. For some reason anything on the Leyte Samar Daily Express website, I can not copy. Winda did it so it must be possible somehow. I did add the website to my list of things in the Philippines to check. I will look for updated stories there. 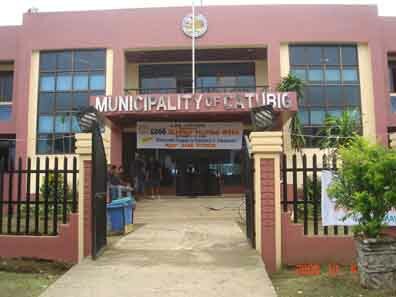 They seem to be on top of these malls here in Calbayog and that is one subject that I am very interested in. When I read the article I saw that they are also building a mall in Sogod. That’s ‘so good’, because Sogod is not very far from Tambis, according to Lita. From the way she described it, I figure it’s about a 30 minute drive. If anyone reading knows of a better estimate, please inform us. It also says that a Gaisano Mall is in the making in Maasin City. 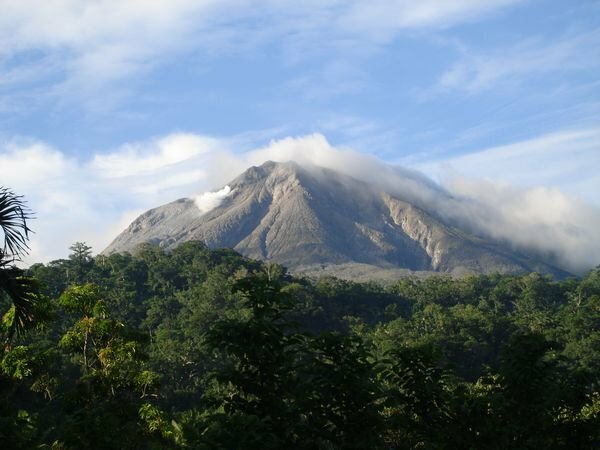 That’s a little far from the Tambis area, but it is in Southern Leyte, so the more they build up areas, the more things around them will grow and hopefully they will be able to grow correctly and help the economy and the people there. I talked with my Dad today on Messenger. He said he was just calling to see if things were alright. He had a 3 minute break while playing online poker and he gave me a quick buzz. Everything and everyone here is fine. Things are fine there also. I’ve been waiting for our cousins in California to get in touch with us again. They called that one day, but I missed the call. I sent them a message via Messenger and via their e-mail, but I have not heard anything. I’m not sure what that means, but maybe they are in the process of moving out of their house. If you have ever lived in a house for a long, long time and then moved, you know it is a mess. When we moved here, we moved out of our house of 15 years. These 2 were living in their house in California, when we moved in to ours, so they have been there probably around 20 years. I hope they do contact us though since they have plans to move here, last we heard. They are both older than us, but the few times I have met them, they seemed nice. They are cousins on my wife’s mothers side, not the fathers side like the rest of the cousins here, but I don’t anticipate that being a problem. I ran out of notes again, but since it’s only 11:02pm and I want to stay up until at least midnight to get a hit count, I’ll ramble a little bit. Sometimes when I ramble, good things come out. I guess sometimes it’s just gibberish though. Poppa is home from the hospital, but he wasn’t eating. Last I heard he requested some chicken and rice stew, so maybe he ate that. I would ask Lita, but she just turned off the TV, so I guess she’s ready for bed. I’ll go in there in a little while and probably watch TV while she sleeps. She doesn’t mind. In fact she says it helps her sleep. Whatever. I just know that I missed one of the shows of NCIS today and I think it’s the one they replay at 0200, or there about. Poppa needs to eat of course to keep up his strength, so I hope he ate. His children have been trying to sell some property down in Catmon so they can pay for his hospital bill here, but so far, no takers. I believe his hospital bill came out to about P20,000 (about $475). That’s usually not so terrible, but it is if there is no money to pay it. I’m not sure how they got out of the hospital without having to pay it, but I think it involved a promissory note. Lita and I were discussing the trip to Tambis, which I think it has been decided that I will not be going on. That’s fine with me. I would like to go to Robinson Mall, but as long as I get the things I want there, it will be fine. I think I have even got Lita talked into buying a pizza at Shakey’s right before she leaves there to bring me. She plans to wrap it in foil to bring it on the trip. I don’t mind eating cold pizza, but I don’t want things growing on it when I eat it. I will be requesting a double pepperoni pizza. I’m also giving Lita a list of the things I want at Robinson’s, just to be sure she doesn’t forget. I guess I should give a copy to Jay also, because he is going. I hear Grace may be going also. Lita said that she would be able to make the trip down there and back, plus shop at Robinson’s for around P6000, and she likes to go over. I told her that I would make sure she has at least P7000, just to be sure. That’s probably all that I will be able to give her too, because we have one more month of having to pay big stuff. In December we will still have bills, but there won’t be a lot of them anymore, and the ones we do have will be caught up and under control. As long as everything goes well anyway. Well that’s enough for the post. Time for the Philippine History. I’ll be putting the pictures in tomorrow morning and posting this then. Thanks for reading and I hope this was at least semi-interesting for you. 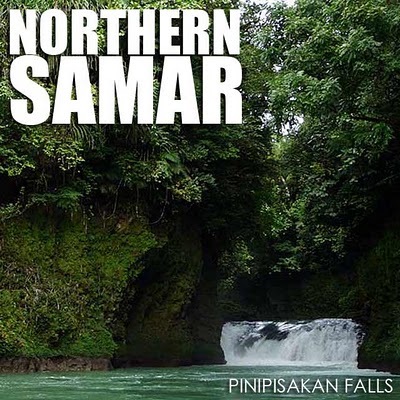 Other websites to check out about Northern Samar. Future outstanding Filipino patriot, revolutionary, poet, novelist, dramatist, and journalist, Aurelio Tolentino, whose famous works include the anti-imperialist “Kahapon, Ngayon at Bukas,” is born in Guagua, Pampanga during the Spanish colonial rule; Tolentino will be one of the Katipuneros who will help the revolutionary Supremo Andres Bonifacio y de Castro locate secret headquarters in the mountains of Montalban and San Mateo, Rizal and, as well, help future revolutionary and general. 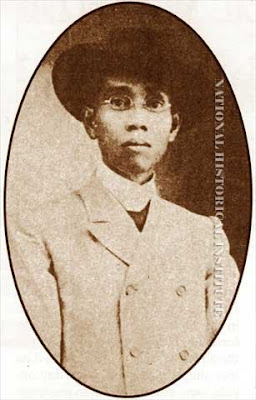 Artemio Ricarte y Garcia; after his release following his capture and imprisonment at the outbreak of the Philippine Revolution against Spain, he will laterfound the Junta de Amigos, an organization aiming to expel the enemy American invaders during the initial phase of the protracted Filipino-American War (1899-1914), and will help Gen. Artemo Ricarte write American colonial Governor Wright a long letter setting forth the aspirations for a Filipino Republic. 1898 – A report on the fall of Spanish forces in Nueva Caceres (Naga), Camarines Sur and Albay following the Elias Angeles-Felis Plaza Revolt is published in El Heraldo de la Revolution, the official organ of the fledgling Philippine Republic, nearly four months after Gen. Emilio Aguinaldo declared the Independence of the Philippines but two months after the Mock Battle of Manila falsely made it appear that the seat of Spanish colonial power succumbed to the Americans instead of the soldiers of the new Philippine Republic; the triumph of Filipino revolutionaries over the Spaniards in Nueva Caceres is to mark the series of departures by Spanish civil and military officials from the Bikol region, eventually leading to the bloodless fall of the rest of the region to the natives. Cool! I like that name, Grand Fiesta Mall. 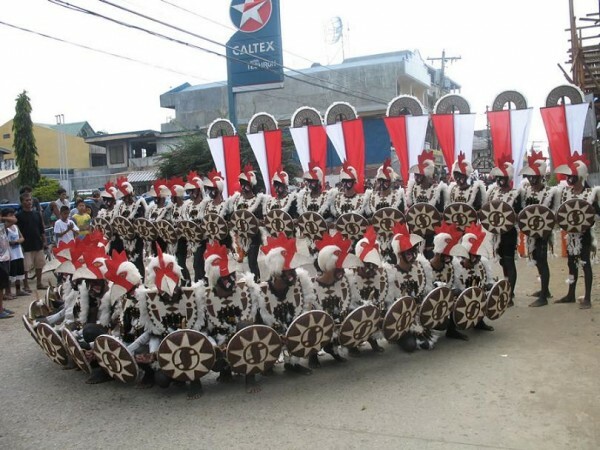 And in Calbayog makes it even more to like. Thanks Scott. I guess I will delete it then for now. I don’t know what happen, it was working so well before.